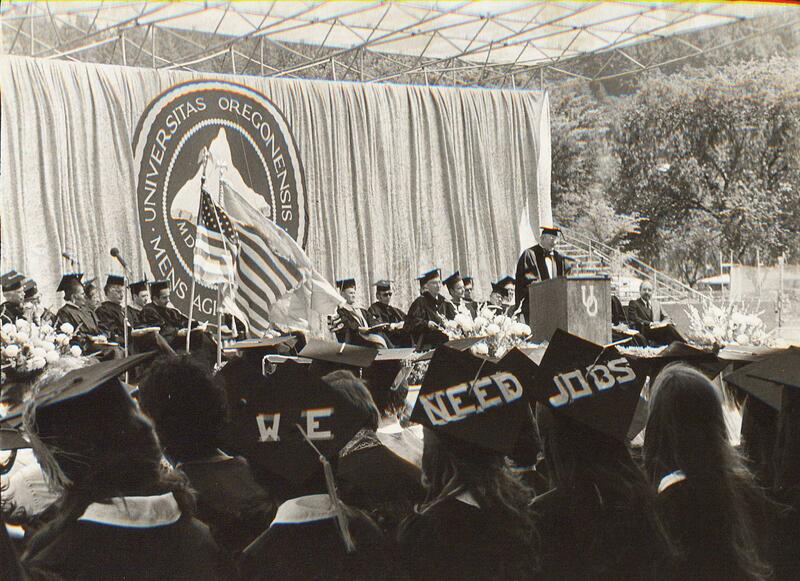 This week we are presenting a three-part series highlighting the history of graduation at the University of Oregon. 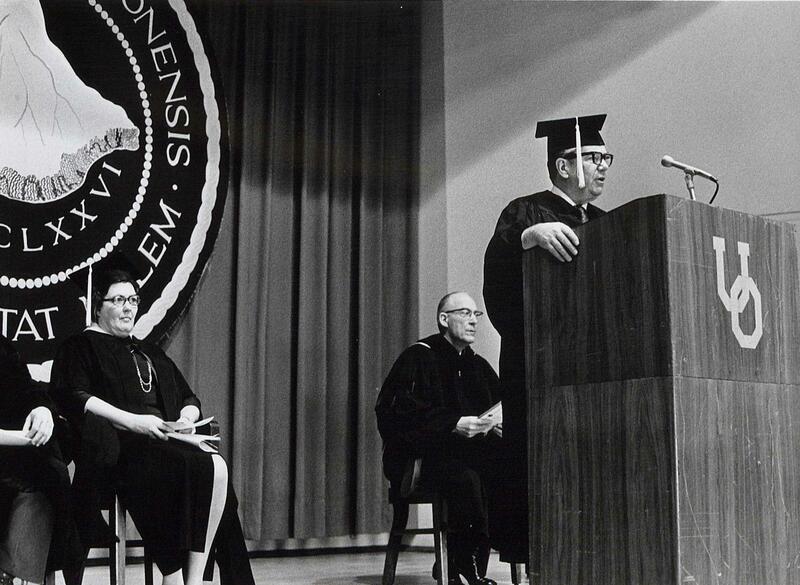 Part one (Tuesday) takes a look back at commencement ceremonies from the the 19th century, part two (Wednesday) features a recent donation of graduation memorabilia from the turn of the century, and part three (Thursday) highlights commencement speeches over the years. Congratulations to the Class of 2015!! 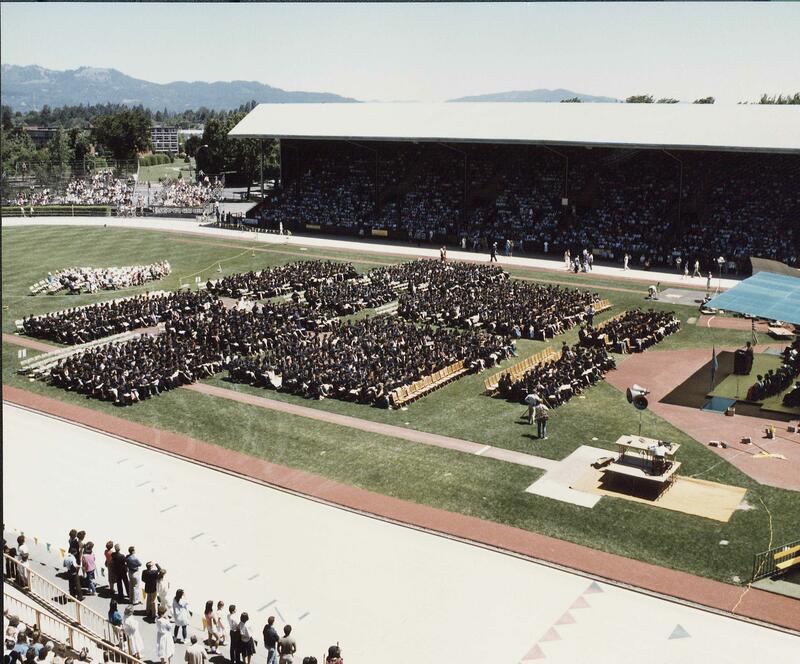 One ubiquitous constant that has graced graduation weekend at the University of Oregon for over a century are the sage words of commencement speakers. These speeches offer both a window into a specific period of university history as well as eternal wisdom for present generations of graduates. Several collections in the University Archives house manuscript copies of student orations from the 19th and early 20th centuries, as well as those of guest speakers from the 1970s and 1980s. 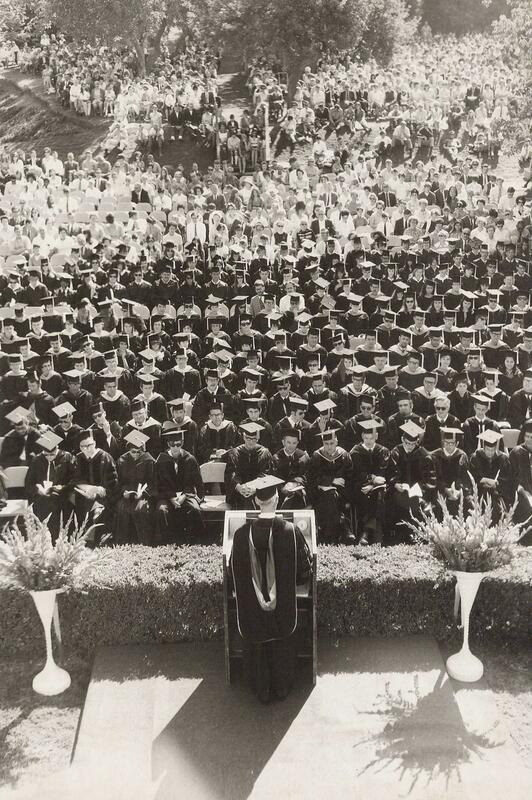 As the 138th commencement weekend approaches we have highlighted some excerpts from various UO graduation addresses of yesteryear whose messages remain relevant in 2015. 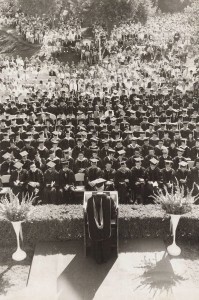 “Commencement Speeches,” University Archives alphabetical subject files, UA Ref 1, Box 5, Special Collections & University Archives, University of Oregon Libraries, Eugene, Oregon. 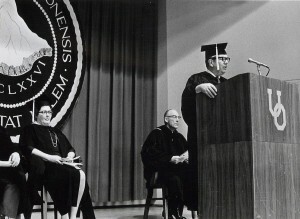 “Commencement Addresses,” University Archives alphabetical single files, UA Ref 6, Box 4, Special Collections & University Archives, University of Oregon Libraries, Eugene, Oregon. 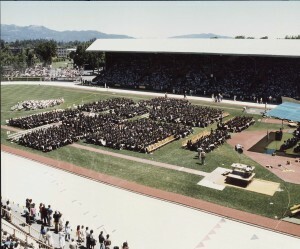 Commencement records, UA 127, Special Collections & University Archives, University of Oregon Libraries, Eugene, Oregon. Matthew P. Deady, University of Oregon Commencement 1886 (Portland, OR: George H. Himes Publishing, 1886). Photos scanned from “Commencement” folders, University Archives photographs, UA Ref 3, Boxes 31 and 32, Special Collections & University Archives, University of Oregon Libraries, Eugene, Oregon. various UO graduation addresses of yesteryear 2015.. get to succsess ! !